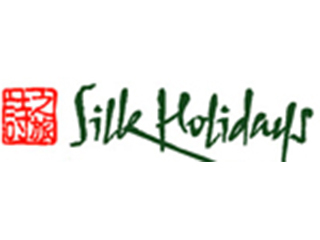 We can customize your trip to stay longer in Thailand and other destinations. Please contact your UNIGLOBE Travel representative for details. 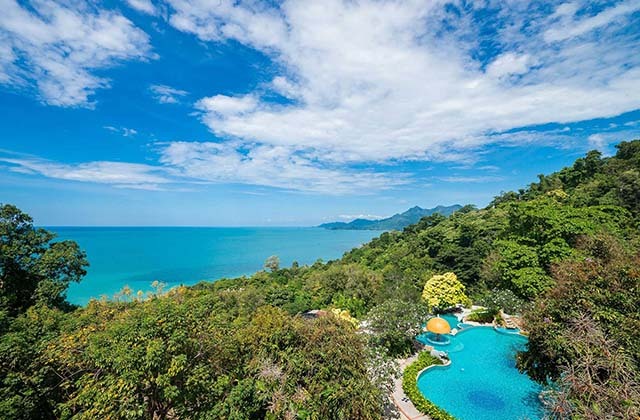 Sea View Resort & Spa is Koh Chang’s landmark resort destination, beautifully situated on 25 hill-side acres of rainforest habitat just a few steps from an idyllic white-sandy beach and azure water of the Gulf of Thailand. Enjoy spectacular panoramic views of the Gulf of Siam and relax a stone’s throw from the ocean. Re-connect with nature in the lush tropical garden The ambience of Sea View Resort & Spa is reflected in every guestroom. Koh Chang, known also as ‘Elephant Island’ named because of its elephant shaped headland, is Thailand’s third largest island after Phuket and Samui. It is located around 300 kilometres east of Bangkok in Trat Province, in the Gulf of Thailand near the Cambodian border. Koh Chang is part of Mu Ko Chang National Park. Despite its increase in development and tourism in the past decade or so, it has retained its remote and rugged character. 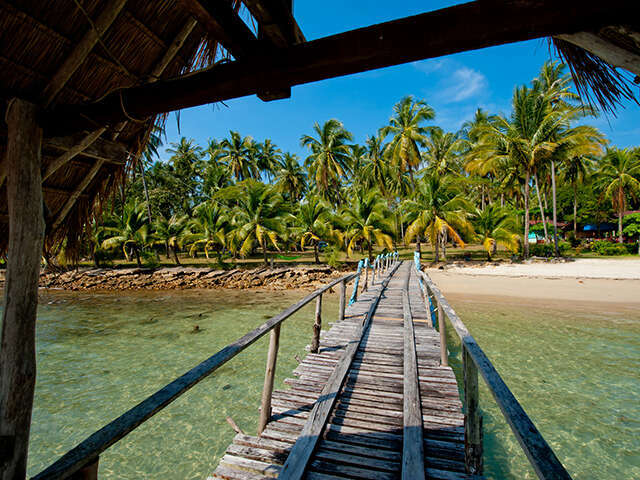 From jungle covered mountain peaks to sweeping bays, great waterfalls to flourishing coral reefs, beach huts to luxury resorts, Koh Chang has plenty to offer for everyone. 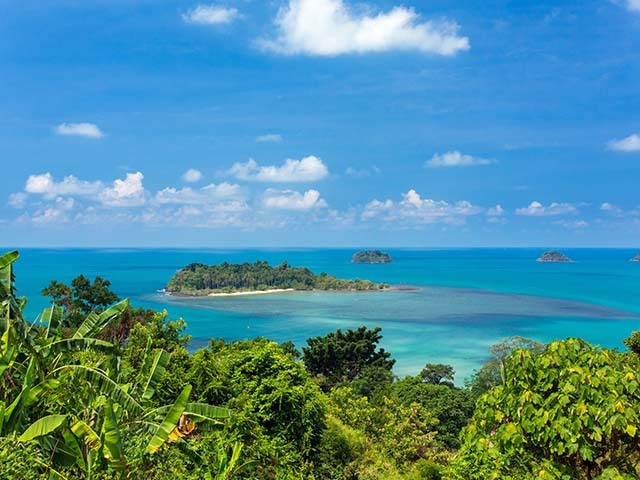 With an area covering approximately 212 square kilometres, 70% of Koh Chang is covered in rainforests, mountains and beaches. The highest peak on the island is Khao Salak Phet, rising from the ground at 743 meters, and given its mountainous terrain there is an abundance of waterfalls.